Borchert Field: "Ken Keltner, Bay View’s husky third sacker"
"Ken Keltner, Bay View’s husky third sacker"
The Bay View Compass has a great article today on Ken Keltner, the late third baseman and Milwaukee native who started his pro ball career with the Brewers. 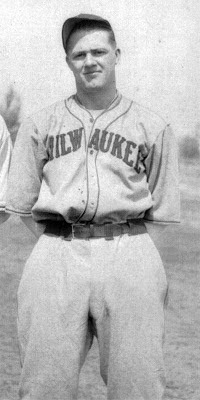 Keltner, born and raised in Bay View (a neighborhood on Milwaukee's South Side), signed with the club in 1936 and played briefly at Borchert Field - in 1937, he belted for .310 average with 27 home runs (tied for second in the American Association) and 96 RBI. His talent drew offers from the New York Yankees, Pittsburgh Pirates, both Boston clubs, and the Brooklyn Dodgers. 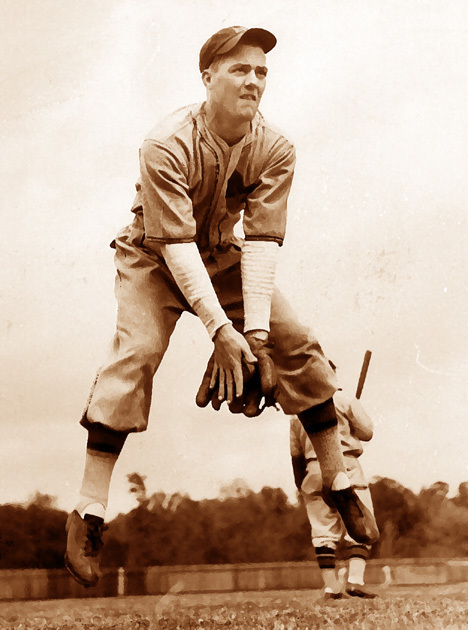 The Brewers, although at the time an independent club, had a right-of-first-refusal agreement with the Indians, so to Cleveland he went, where he was part of their World Champion club in 1948. It was Sept. 8, 1937, Keltner Night at Borchert Field. Kenneth F. Keltner was the third baseman for the Milwaukee Brewers, a minor league team that played in the American Association from 1902 to 1952. Keltner, a seven-time All-Star, would have his career cut short due to injury, finishing his big league career with a cup of coffee with the Red Sox in 1950. He retired home to Milwaukee, where he lived until his death in 1991. After his retirement, there was a brief movement to have Keltner elected to the Hall of Fame. Bill James, baseball's stat master, would immortalize Keltner in his book The Politics of Glory (currently available under the title Whatever Happened to the Hall of Fame?) with The Keltner List, a series of fifteen simple and often subjective questions designed to evaluate and encourage discussion about a player's worthiness of Cooperstown induction. Today, Keltner is primarily remembered for his role in ending Joe DiMaggio's 56-game hitting streak on July 17, 1941 (he had two terrific defensive plays, robbing Joe D of two hits). He has a youth baseball field in Milwaukee named after him, and the Wisconsin Chapter of SABR is named after him. I don't know how Keltner himself did on the Keltner List, but I'm going to find out.